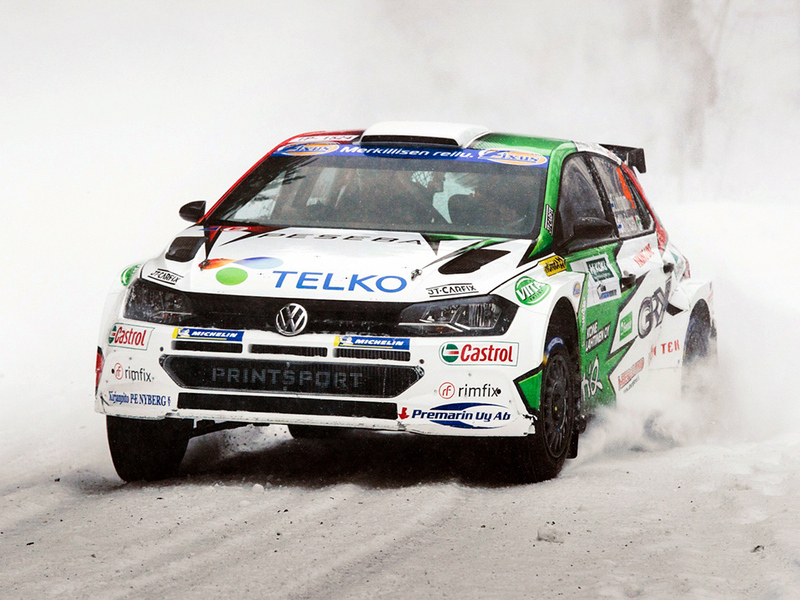 The Volkswagen Polo GTI R5 continued its winning ways at Finland’s Itärally on 2 March. Driver Emil Lindholm and co-driver Mikael Korhonen claimed their second R5 class win in the 2019 Finnish Rally Championship, holding the overall lead for much of the event. 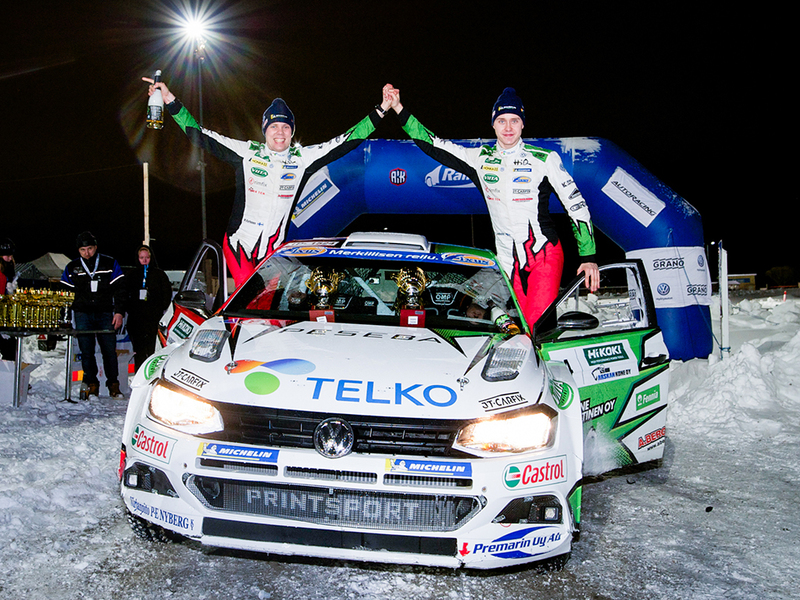 The 10th win for the new Volkswagen Motorsport customer sports rally car, the third round of the series was held around Joensuu in east Finland. The duo lost out to Takamoto Katusta and Daniel Barritt after six stages. The Japanese and Great British pairing finished only 0.8 seconds ahead in their Toyota Yaris WRC. Even though they weren’t victorious, Lindholm was pleased with his and Korhonen’s performance: ‘It was more important for us to get the class win, so I did not want to take any risks on the final few kilometres. There was a lot of snow on the roads and the conditions were extremely difficult. ‘I just wanted to avoid making any mistakes – I think that was the right decision. There is no shame in missing out to a WRC works car by such a small margin,’ he continued. After three of seven rounds in this season’s Finnish Rally Championship, Lindholm is currently second in his Volkswagen Polo GTI R5. 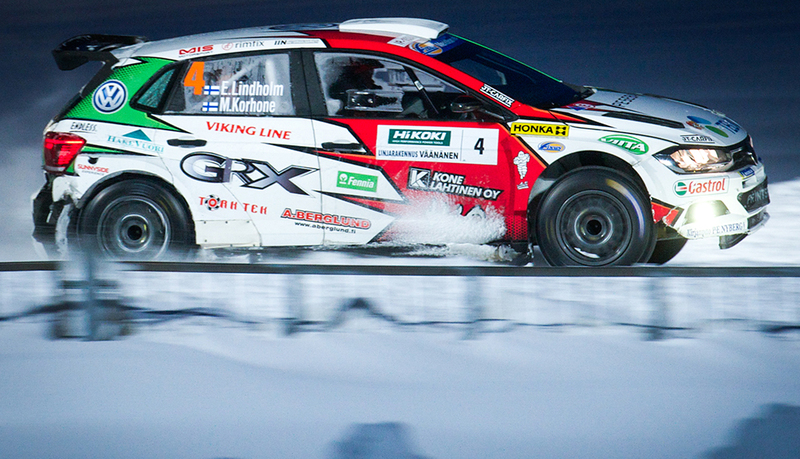 Victorious in the season-opening Arctic Lapland Rally, Lindholm missed the second event, as he was competing in Rally Sweden. The 2019 Finnish Rally Championship will now take a spring break, resuming with the Riihimäki Rally on 24-25 May. 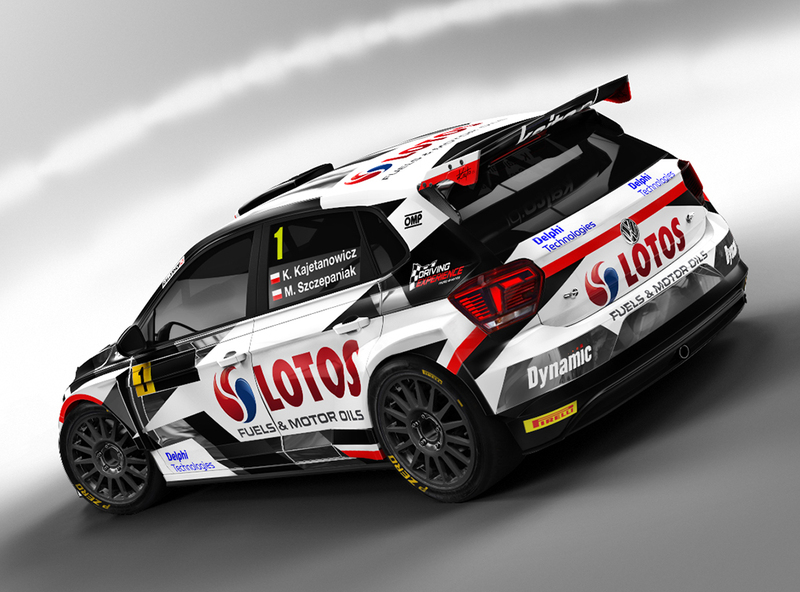 Elsewhere, Kajetan Kajetanowicz and Maciej Szczepaniak from Poland have committed to running a LOTOS Rally Team-branded Polo GTI R5 in the 2019 WRC 2 category of the World Rally Championship. Kajetanowicz, a 39-year-old, three-time European champion drove a handful of WRC 2 events during 2018, but will contest seven events this year. His and Szczepaniak’s machine will be run by Raimund Baumschlager’s Baumschlager Rallye & Racing (BRR) of Austria, which has also announced a Polo GTI R5 for German rally champion Marijan Griebel. The Polo GTI R5 of Kajetanowicz / Szczepaniak will debut at Corsica Linea – Tour de Corse on 28-31 March; Grebel’s car will first appear a week earlier at the Portuguese Azores Rally on 21-23 March. 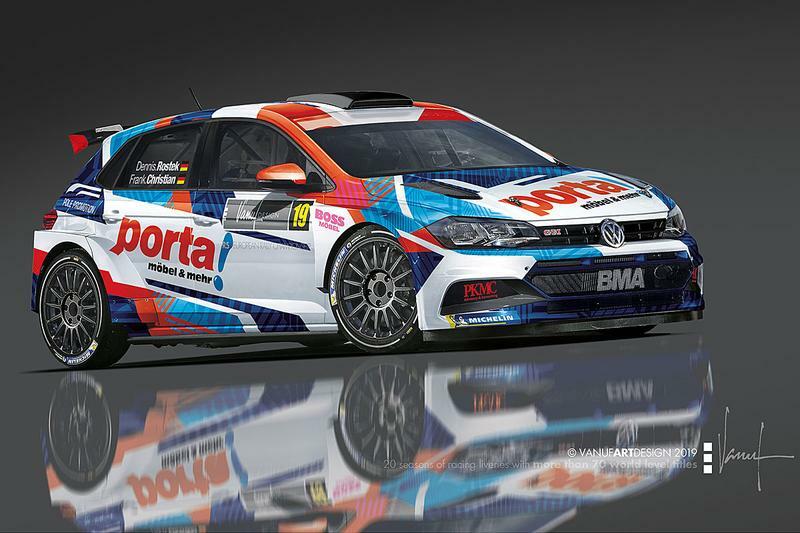 In other news, Polo GTI R5 rally machines have also been confirmed for Vojtĕch Štajf (Czech Republic), Dennis Rostek and Frank Christian (Germany, BMA Autosport), Pedro Meireles and Mário Castro, as well as Gustavo Saba and Fernando Mussano (Paraguay) who debuted their car on the 2019 Tierra Colorada Rally at Misiones in Argentina.